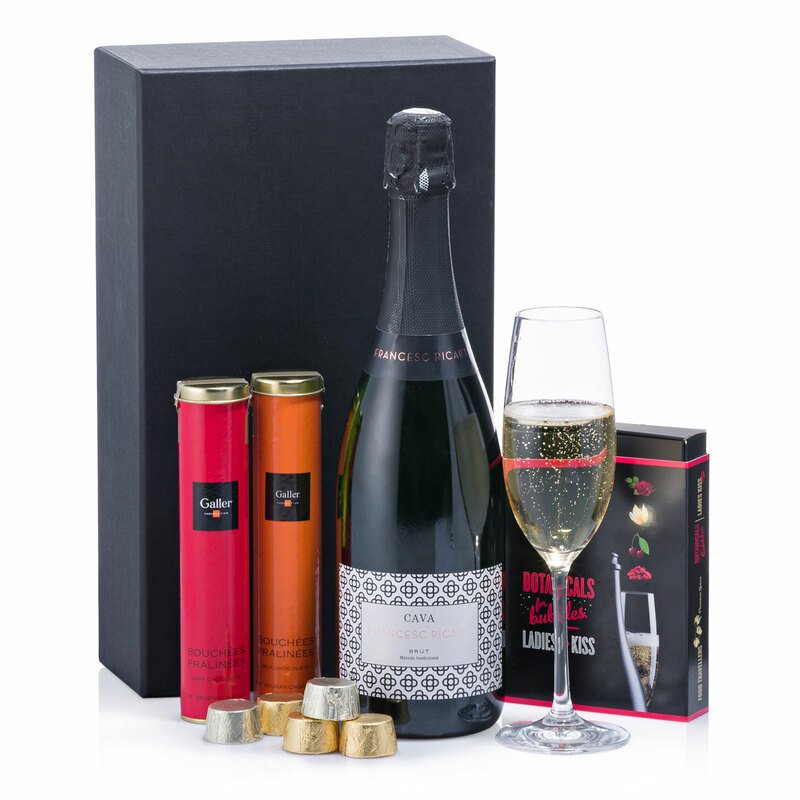 Celebrate festive occasions with this elegant gift of sparkling Cava, unique botanicals, and Belgian chocolates. Beautifully presented in a chic black gift box, it's an ideal Valentine's, birthday, or anniversary gift. Cava Pere Ventura Tresor Nature Brut from Catalonia is a fine example of the iconic sparkling wine of Spain. Crisp and refreshing with slowly rising bubbles, it is fresh, balanced, and fruity - perfect for toasting special occasions! Take sparkling wine to the next level with the addition of Food Travellers Botanicals For Bubbles. 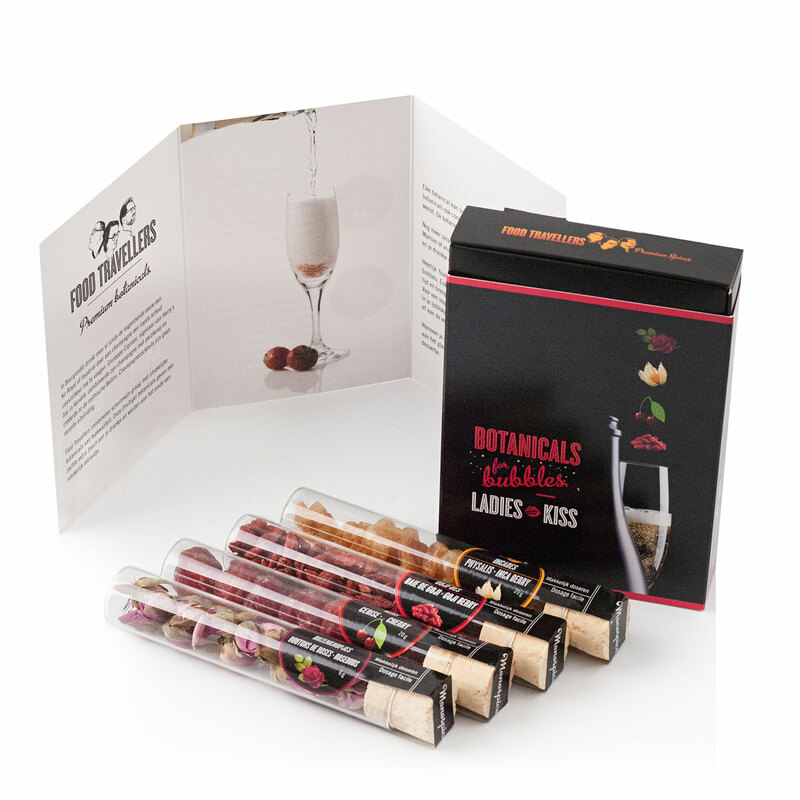 The "Ladies Kiss" set includes four botanticals to add to sparkling wine individually or in harmonious combinations. 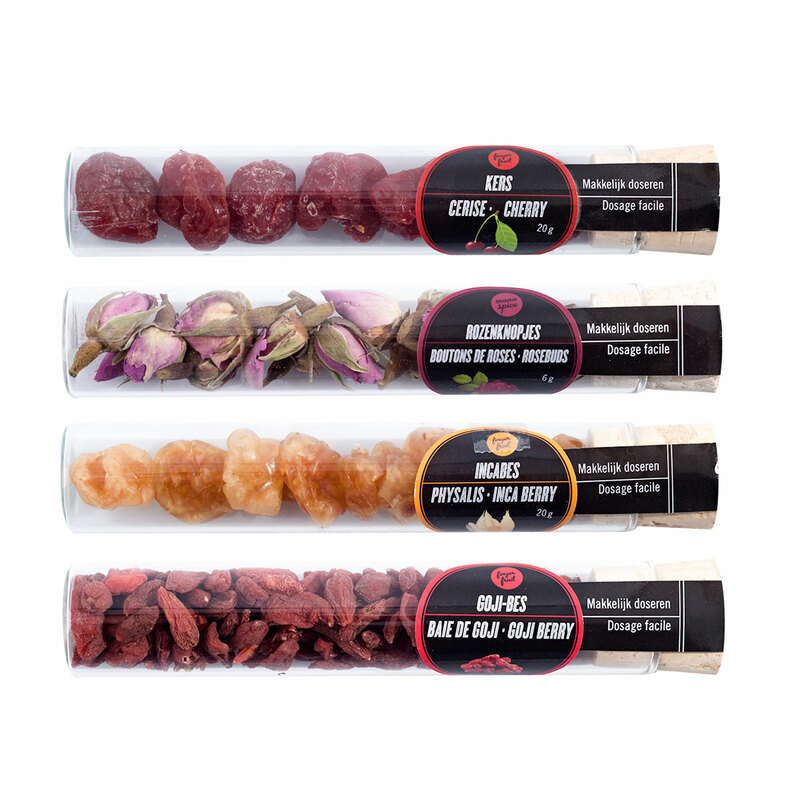 The flavors are rose buds, candied cherries, Cape gooseberry, and goji berry. Delicious Galler Belgian chocolate is a delightful companion to the bubbly Cava. 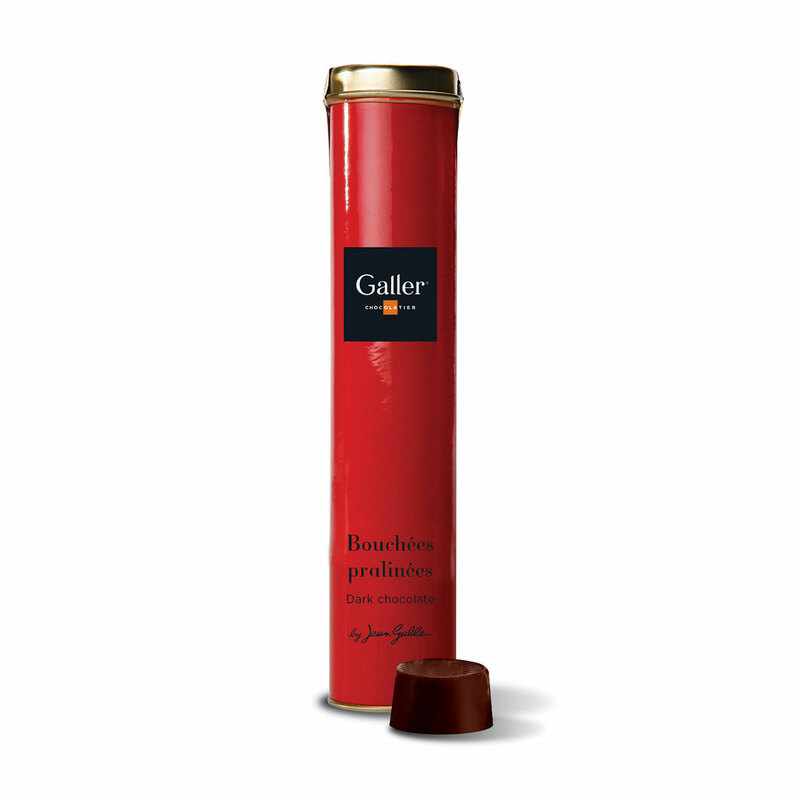 Enjoy milk chocolate and dark chocolate individually wrapped pralinés in stylish tubes. They are a wonderful little indulgence to enjoy any time. 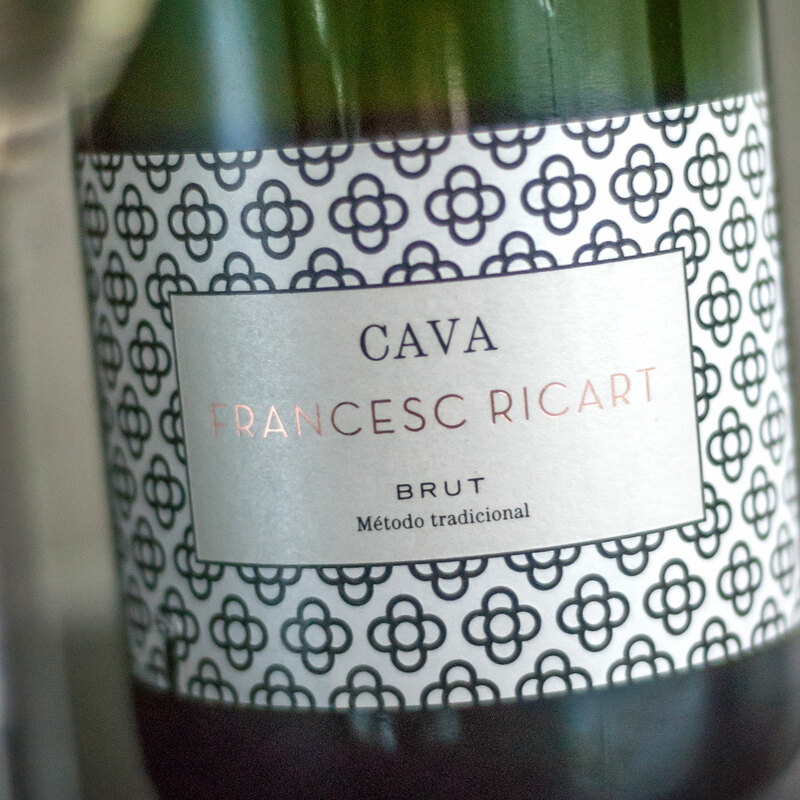 Cava Francesc Ricart Brut is a fine example of Spain's iconic sparkling wines. Pale yellow colour, with floral and honey hints, it is fresh, balanced, fruity, and with fine bubbles. Ideal as an aperitifand for acompanying rice, fish, seafood and grilled white or red meat. Ingredients: Sugar, hazelnuts 18%, cocoa butter, whole milk powder, cocoa paste, emulsifier : soy lecithin, natural vanilla flavouring. Cocoa: 30% minimum. Ingredients: Sugar, cocoa paste, hazelnuts 16%, cocoa butter, whole milk powder, emusifier : soy lecithin, natural vanilla flavouring. Cocoa solids : min. 60%.